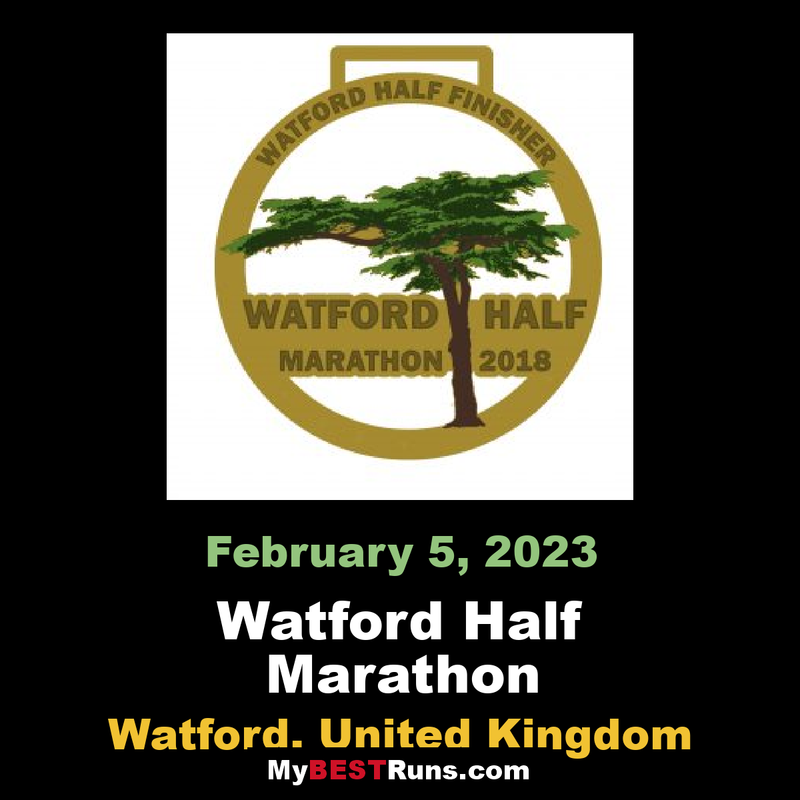 The Watford Half Marathon is a very well-established race, its mainly along lovely country roads and lanes that are virtually traffic free.UK Athletics Gold Graded Event.The race incorporates the Hertfordshire County Veterans Half Marathon Championships. The race has strong history with in the running community and has beentaking place for the past 40 years, on various courses in the Watford area. We attract runners from those graduating from Park Runs, to those training for spring marathons . The race is organised by the Watford Harriers, we have been organising athletics event on track, road and cross country for over 50 years. This is an event for Runners by Runners.